NARS will be opening their first stand alone store soon, a boutique in the New York City area in the Spring of 2011. Located on Bleeker Street in the West Village, the windows currently display oversized swatches from the Vintage Nail Polish Collection as contruction takes place inside. 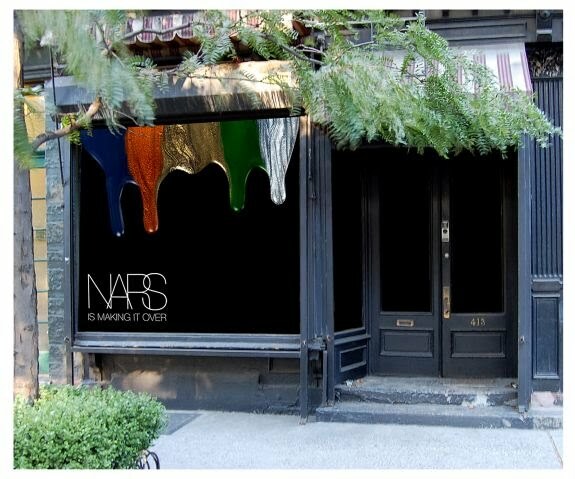 The boutique will carry the full line of NARS products, as well as exclusive items that will only be available here. Hopefully they'll consider opening more store locations in the future. Let's just hope they don't offer an exclusive polish as elusive as Zulu has been in the past, or those of us not in the NYC area will be looking for the best flight prices!